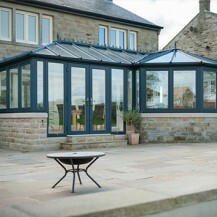 The natural qualities of aluminium make it a perfect choice if you are looking for something completely unique. This slim and lightweight frame is incredibly strong and corrosion- proof. 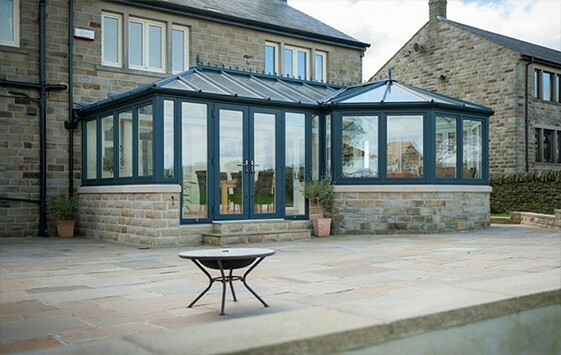 If you'd prefer a versatile, low maintenance maintenance material then aluminium is a perfect choice. 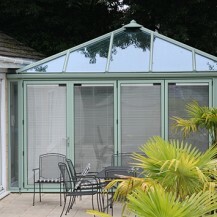 The sleek lines of an aluminium conservatory help open up your living space bring the outside inside. Aluminium frames are corrosion proof and exceed the British standards for weather performance and security. Therefore, aluminium is a perfect solution for homeowners who live in costal locations. Aluminium is also a great material for those who want to bring out the contemporary side of their home. Homeowners can choose from a range of elegant designs and finishes both inside and out to help compliment the look of their property. As aluminium is also a very good conductor of heat, insulating strips made from polyamide are often installed to create a thermal break between the internal and external frame. 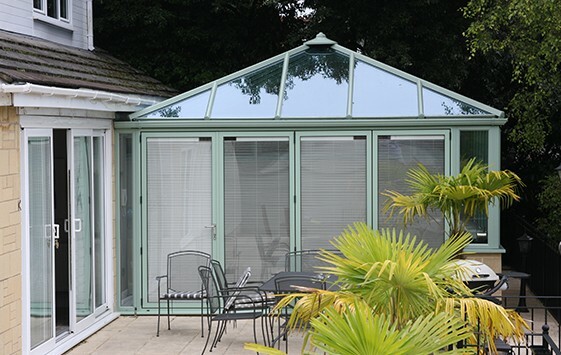 This thermal barrier restricts the heat from escaping through the frame and the cold air from entering the conservatory. All aluminium structures are coated with a polyester powder that provides a consistent, long lasting finish, which is relativity maintenance free. The powder coating is a superior colour treatment that is based on polyester resin, and cured to form a smooth durable surface. What’s more, aluminium conservatories are available in any RAL colour meaning you can choose virtually any colour you want and it is unlikely to ever fade.